I just can't believe Thanksgiving is this week, Christmas is about 30 days aways and our next baby will be entering into the world in about 60 days! AHH!! 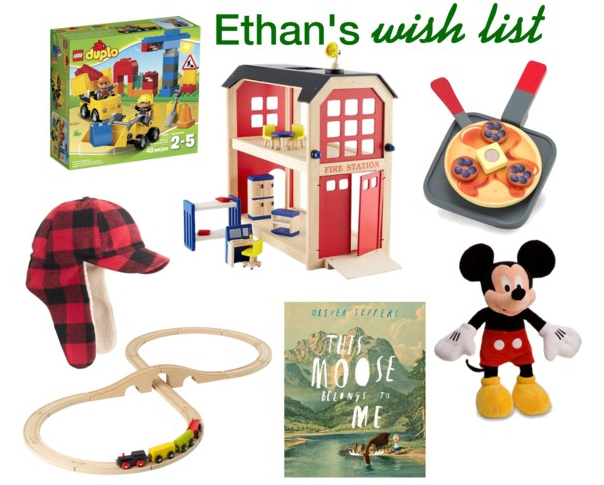 In an attempt to keep things moving, I've put together a little wish list for Ethan. I worry that we won't decorate that much this year but I really want to make sure to keep Christmas special for Ethan. Ethan has just gotten into legos and he LOVES tractors, so I figured this tractor set would be appropriate. This little firehouse is the perfect "boy-friendly" version of a dollhouse. Ethan loves playing with an old dollhouse at his grandma's, so I am sure he would love this. And if I'm being honest, I really just love this traditional dollhouse. Ethan got a play kitchen for his birthday and I think he would love to have some pancakes to whip up...just like his daddy on the weekends. This mountain kid needs some more hats to keep warm this winter. In addition to tractors, Ethan really loves trains too. He would love a wooden train track set...and you can't beat the price of this Ikea version! Ethan is getting more and more into books, so I'm enjoying collecting them. This moose book looks too cute! Last, Ethan is pretty obsessed with Micky Mouse Clubhouse, so I am sure he would go nuts over this plush version. What's on your toddler's Christmas list this year? 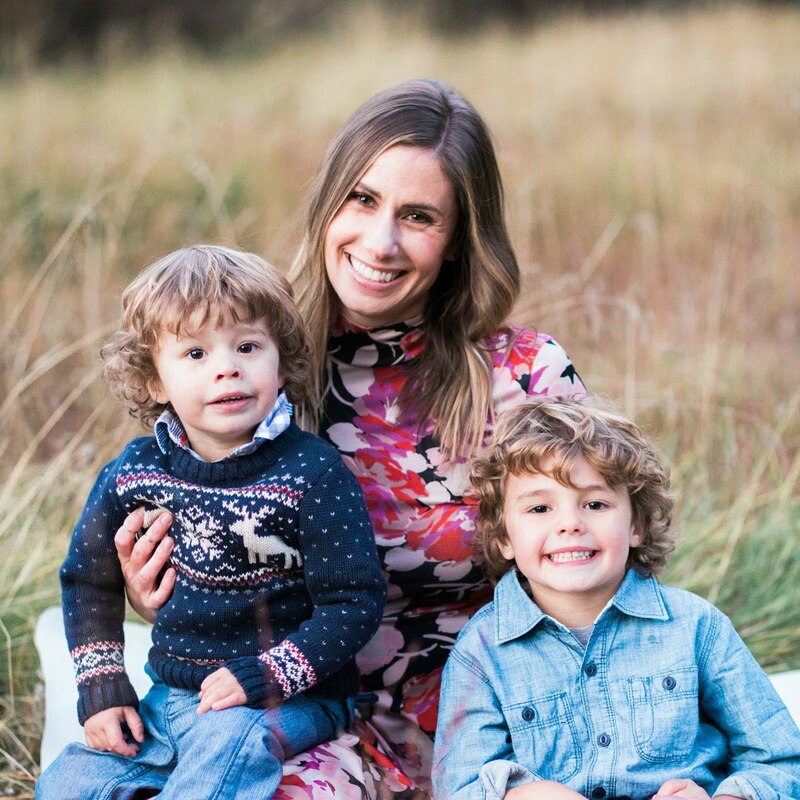 PS...there's still time to enter my Minted.com $250 giveaway! Enter here! This is a fun collection for boys!! I love that firehouse alternative! What a great list! We got Cam the IKEA train set last year, and he loves it. Cam also loves doll houses, so I will have to check out the firehouse!! What a great idea! Cam is also getting the Little Tikes farm (he is obsessed with animals) and a play kitchen...does Ethan love his?? Cam loves to cook with us, so I am sure he will love it! IKEA really does have some great deals!!! We braved it on Saturday and it was crazy!! What kitchen did Ethan get for his birthday? We got Ethan the Hape Kitchen...they make really cute wooden play food too! I just saw that Melissa and Dog pancake set in our local Gymboree. It was really cute! I think noah would love playing with a dollhouse too! I love the traditional one from land of nod too but I think I'll be able to get my husband on board with the fire station instead ;). I hope doll houses become common for boys just like toy kitchens have! Why wouldn't a boy want to play make believe about the things they see each and every day?? That firehouse IS really cool! And I've never seen the pancake play food. So fun! blair would love that train track set! her friend has some thomas trains and she adores them. that FIRE STATION! I think my little one would love that! thanks for sharing.